It feels like it’s been FOREVER since the last Blur update! Last week, we finally released Blur v. 7.6, our first update in a few months. It may not be obvious at first, but we’ve been hard at work over the past several months improving our backend structure, a wide variety of Blur features, in addition to improving our DeleteMe service. General Speed: We’ve spent countless man hours improving Blur’s processing speeds. The largest speed issue that we were dealing with revolved around the way that we encrypt your stored data, decrypt your stored data, and deliver it back to you through the Blur interface. 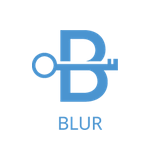 Essentially, we’ve completely revamped the process we use to encrypt and then decrypt your data, without compromising security, making Blur faster than ever. Specifically, we keep your data private and secure by doing all the encryption (and decryption) only on your computer or phone. Every time Abine’s servers handle or store your data it’s encrypted in way that ensures that nobody but you can access your data. When Blur is running, decrypting your data to access account information or to synchronize your data across devices can take a little time, especially if you have lots of accounts. We’ve made the decryption code over 10 times faster using an improved high-performance cryptographic library (asmcrypto) that provides the same level strong encryption for your data. Simply put: you’ll be able to access your stored Blur data up to 10x faster. Auto-lock: We’ve fixed a longstanding issue with the auto-lock setting for our iOS app. Previously, assigning the ‘auto-lock’ security setting to ‘never’, was resulting in the account getting locked after a force quit or an unexpected crash. We’ve resolved this issue by protecting your authentication information using TouchID. Now, with TouchID enabled, and ‘auto-lock’ set to ‘never’, you’ll simply be prompted to use TouchID to login instead of being forced to enter your email address, password and possibly even your 2-factor authentication one-time-password. Auto-fill Addresses: We’ve fixed an issue that kept non-U.S. users from being able to complete the auto-fill addresses form on Blur for Android devices. Previously, attempting to complete the auto-fill addresses form using an alpha-numeric postal code would result in errors. We’ve resolved this issue by removing unnecessary restrictions when filling out the auto-fill addresses form in our Android app. Now,users with alpha-numeric postal codes will be able to use the auto-fill addresses feature in Android. If you’ve used Blur Masked Emails in the past, you may have experienced some issues regarding email not delivering correctly to your target email inbox. Most of these previous issues were due to poor handling of spam forwarding. Due to the nature of Masked Emails, we were forwarding every piece of mail to your target email inbox, regardless of possible spam or not. Unfortunately, as volume grew, this practice began to severely diminish our email reputation. In the near future, we’ll be implementing a feature that will allow you to choose which messages you actually want forwarded to your target email inbox. For example, if we don’t forward a message to your target email inbox because we think it’s spam, you’ll be able to tell us otherwise and have the message forwarded to your target email inbox. You’ve been asking, and we’ve heard you loud and clear! Now, you’ll be able to check your entire Blur billing history including both charges for Masked Cards and your past subscription payments. We’re constantly working to improve Blur for our users! If you ever want to report a bug, inquire about feature requests or our product roadmap, shoot us an email to blur-support [at] get abine [dot] com, or use the feedback tab inside the Blur webapp. The article mentions that the DeleteMe service been improved. How so? I’m interested in this DeleteMe discussion, too. As a brand new DeleteMe subscriber, I’m eager for more information on the service, how it works, progress and activity of deletions, etc., as well as improvements implemented and future plans for this service. I used to use Reputation.com, but found it was not so great at keeping track of my account info and progress, and I was never quite clear on how much they were actually able to ‘scrub’ from the internet as I directed. Support for UWP, Edge and other Windows products is left wanting and therefore the use of other products will have to continue. Sorry Blur.